My bad, the haircut-quote was Vyacheslav Nikonov, not Lukin. Still very funny. A Reuters report exposes massive Pentagon inefficiencies, details of Asiana crash revealed, and U.S.-China cyber talks make progress. Today is Wednesday, July 10, and here’s the World Wrap, brought to you by @dwbronner and @clarerrrr. 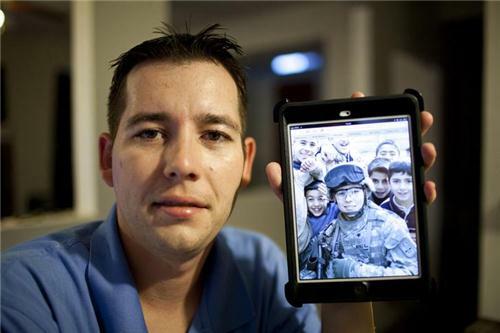 Click here for more photos of Aiken’s life at home in Army combat medic Shawn Aiken poses for a portrait as he holds a photo of himself while on patrol in Iraq, in El Paso, Texas, May 20, 2013.S.U. A review of individuals’ military pay records, government reports and other documents, along with interviews with dozens of current and former soldiers and other military personnel, confirms Aiken’s case is hardly isolated. Pay errors in the military are widespread. And as Aiken and many other soldiers have found, once mistakes are detected, getting them corrected – or just explained – can test even the most persistent soldiers… Reuters found multiple examples of pay mistakes affecting active-duty personnel and discharged soldiers. Some are erroneously shortchanged on pay. Others are mistakenly overpaid and then see their earnings drastically cut as DFAS recoups the money, or, like Aiken, they are forced to pay back money that was rightfully theirs. Watch Aiken tell his story here, and check out the first installment of a Reuters series on the Defense Department’s mishandling of funds. The South Korean airline’s flight crew members were not tested for drugs or alcohol after the crash, a requirement for pilots of U.S.-based carriers involved in accidents, she said. The accounts given to investigators by the pilots, as relayed by Hersman, confirmed information from the plane’s flight data recorder that showed the plane was traveling 25 percent below its target airspeed as it came in for landing. 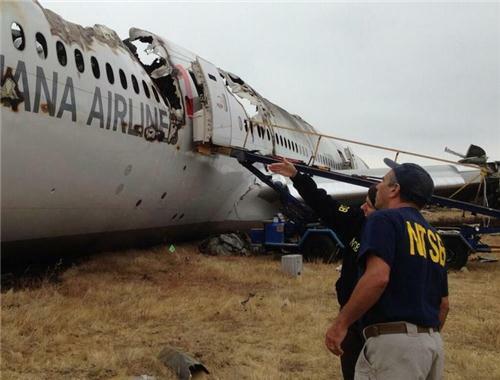 While she has declined to speculate on the cause of the crash, much of the information released by the NTSB suggests pilot error as a main focus of the investigation. Cyber security is one of the main topics for high-level talks this week between the world’s two largest economies, as both countries trade accusations about hacking attacks on each other… The talks follow the positive tone struck by President Barack Obama and new Chinese President Xi Jinping at a summit last month in California. Nevertheless, Obama demanded Chinese action to halt what he called “out of bounds” cyber spying. 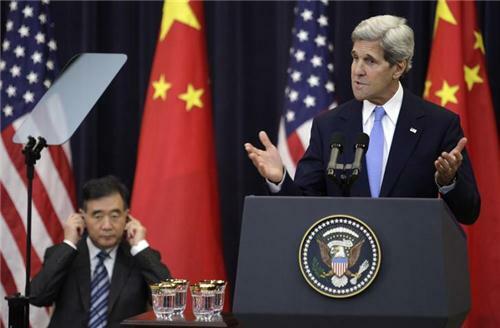 Both the U.S. and China said they would improve communication, and work to increase trust and reduce suspicion. Both countries have faced - and lobbed - accusations of cyber hacking over the past few months, making cyber security a major point of contention. Nota Bene: Egypt’s prosecutor orders the arrest of Muslim Brotherhood leaders for inciting violence as Gulf allies give billions of dollars in aid. Police sift through ‘crime scene’ after Quebec train derailment. 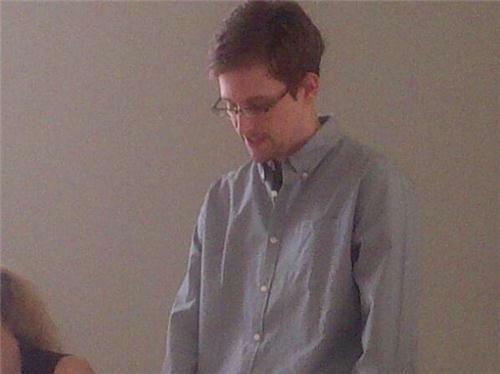 WikiLeaks says Snowden has not yet accepted asylum in Venezuela. Norway’s island shooting survivors run for parliament. Going cold turkey in Myanmar behind locked doors. Israel strengthens Syria border with an eye on Hezbollah. 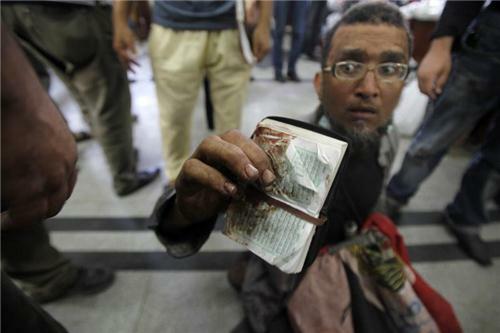 U.S. aid to Egypt: Where does the money go and who decides how it's spent? This ProPublica article explains. JERUSALEM - Israeli troops found the remains on Tuesday of the first rocket to be fired from Egypt since the July 3 overthrow of the Islamist government there, a military official said. Israelis reported hearing several explosions in the southern city of Eilat on Thursday, the day after Mohammed Mursi was toppled from power in Egypt. Israel detected no signs of any cross-border shooting, but found the remains of a rocket on Tuesday, an official said, speaking on condition of anonymity. 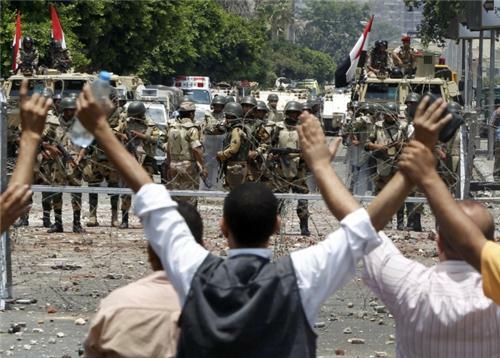 CAIRO - Egypt summoned Turkey's ambassador to Cairo on Tuesday in protest at what it viewed as Ankara's interference in Egyptian affairs, after Turkey described the Egyptian army's overthrow of elected President Mohamed Mursi as an "unacceptable coup", state news agency MENA reported. 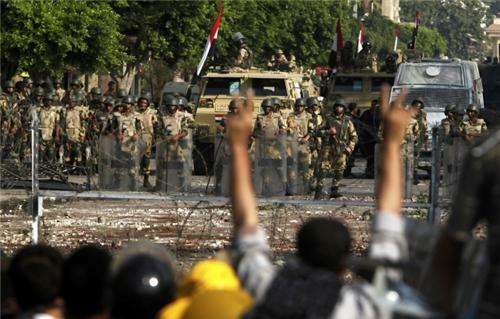 Turkey's response to last week's military intervention was seen in Egypt as the strongest reaction from overseas. WASHINGTON - The United States is encouraged that Egypt's interim government had laid out a path forward and wants all sides to participate in the transition, a State Department spokeswoman said on Tuesday after the government said it plans to hold elections. "We are encouraged that the interim government has laid out a plan for the path forward," spokeswoman Jen Psaki said, declining to comment on a statement by interim head of state Adli Mansour that elections are planned in about six months. Psaki said, however, that elections "should move forward with the maximum possible inclusion and consensus." 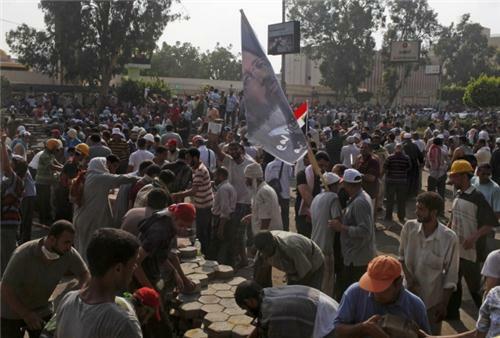 REUTERS: Al Arabiya reports Saudi Arabia approves $5 billion aid package to Egypt. The start of Ramadan is a time of joy for Muslims, launching a month of night feasts and parties. 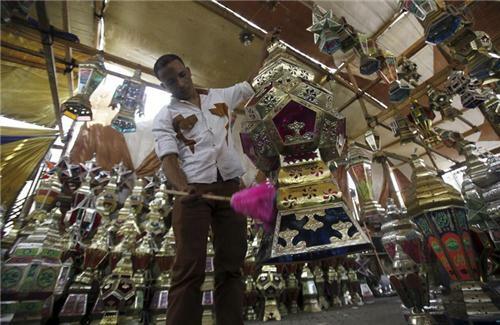 But in Cairo this week, Ali Mohamed isn't stringing up his multicoloured lanterns in the street, instead he is taking them down. 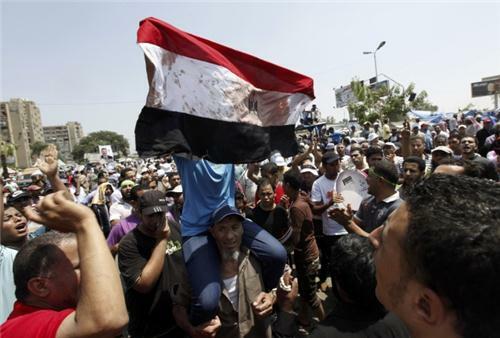 He's in no mood to celebrate as Egypt veers into bloodshed and anxiety following the military overthrow of elected President Mohamed Mursi last week. Read the full story by Yasmine Saleh here. WASHINGTON, July 8 (Reuters) - The White House said on Monday that it is not in the best interests of the United States to immediately change its aid program to Egypt. White House spokesman Jay Carney said the United States government will take the time it needs to determine whether or not to label the Egyptian military's overthrow of the government as a coup, which would determine whether aid would continue. "We do not believe it is in our interest to make a precipitous decision or determination now," Carney told reporters at a briefing. 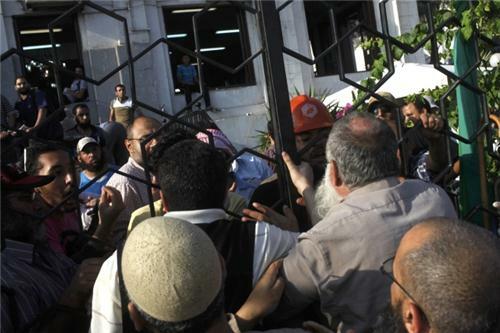 Man: "#egypt TV should be here, to see people were killed during prayers, Sisi says he's guardian of the ppl but he shot us,he shot us"
CAIRO, July 8 (Reuters) - The Cairo hospital is full. Men are crammed two, three, four to a room. Their clothes are soaked with blood. Their story starts the same way. It was dawn, they were praying. Then someone shouted, and they found themselves under fire by the military from all directions. "They shot us with teargas, birdshot, rubber bullets - everything. 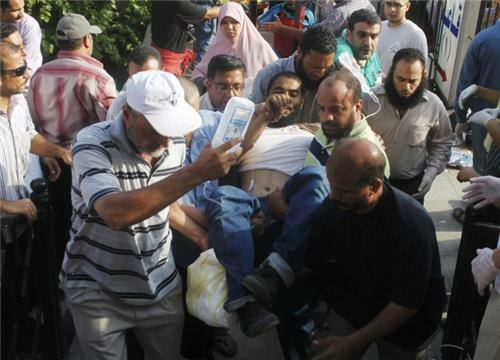 Then they used live bullets," said Abdelaziz Abdel Shakua, a bearded 30-year-old who was wounded in his right leg. 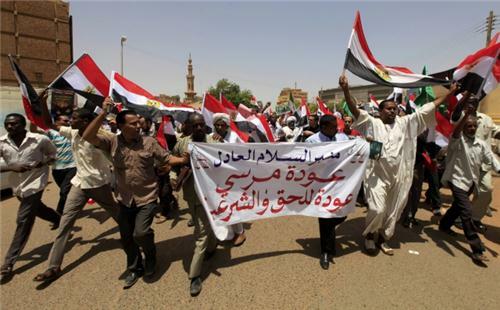 He came from outside Cairo, like many people protesting against what they say was a military coup against the democratically elected President Mohamed Mursi. With thousands of others, he says he went to camp peacefully outside the Republican Guard barracks where Mursi is being held. The attack by the army, he says, took the protesters by surprise. 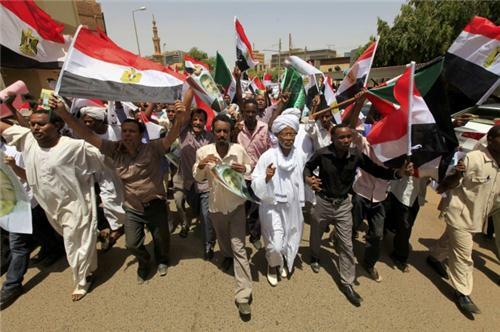 His is one of two opposing narratives of the violence that left more than 50 people dead, the deadliest episode since Mursi's overthrow on Wednesday and a sign of the widening rifts in the Arab world's most populous state. 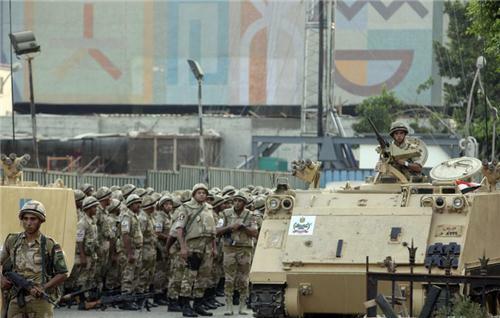 Iran says Egyptian army interference in "unacceptable"
DUBAI, July 8 (Reuters) - Iran on Monday called the Egyptian army's ousting of president Mohamed Mursi "unacceptable" and said Israel and the West did not want to see a powerful Egypt. The comments from Foreign Ministry spokesman Abbas Araqchi were more disapproving than his immediate reaction last Thursday, when he merely called for the Egyptian people's "legitimate demands" to be fulfilled. 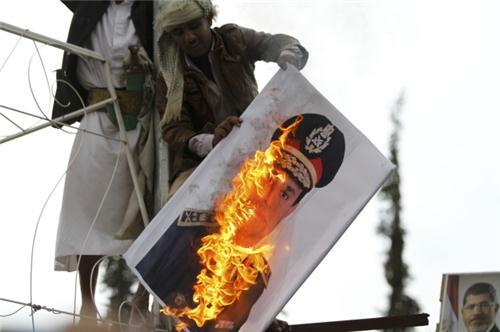 Iran welcomed the popular overthrow of Hosni Mubarak in 2011, calling it an "Islamic awakening" inspired in part by its own 1979 revolution, and after Mursi's election victory last year it sought to repair its strained ties with Egypt. However, the two countries now have found themselves supporting opposite sides in the civil war in Syria. While Shi'ite Iran is President Bashar al-Assad's closest Arab ally, largely Sunni Muslim Egypt under Mursi has voiced its support for the mostly Sunni rebel groups seeking to overthrow Assad. On Monday, Araqchi said: "What is important is giving significance to the legitimate aspirations of the Egyptian people," according to the Mehr news agency. "However, military intervention in politics is unacceptable and a cause for concern." Araqchi warned against greater divisions in Egyptian society, adding: "Certainly foreign hands are also at work, and ... the West and the Zionist regime (Israel) will not want a powerful Egypt." 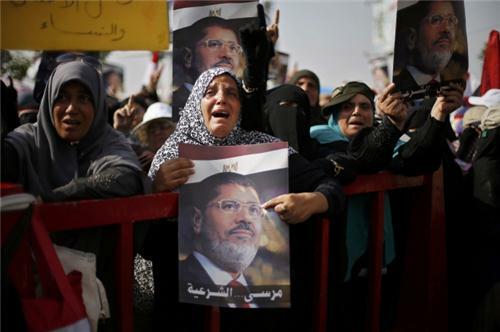 Several dozen people were killed on Monday when Islamist demonstrators enraged by the Mursi's overthrow said the army opened fire on them at the Cairo barracks where he was being held. The military said a group of armed assailants had tried to storm the compound and soldiers returned fire.